Understand and experience the mysteries of Easter Island first-hand on an exclusive tour by Adventure Life. The Rapa Nui culture built massive monolithic Moai stone sculptures that deified specific legendary ancestors from around 1250 to 1500 DC, and we'll learn how and why the Moai were built as narrated by the descendants of the builders themselves. 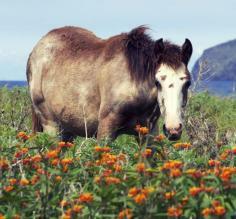 Enjoy spectacular hiking, diving, and horseback riding on our Active Easter Island Trip. All flights to Easter Island pass through Santiago, Chile, so consider visiting Patagonia, the Lake District, or the Atacama Desert or other parts of Chile in one unforgettable trip. Our knowledgable Chile and Easter Island specialists can customize any of the tours below to perfectly fit your interests, schedule, and budget, so please contact us to start planning your dream trip. Actively explore the historical sites and untouched landscape of Easter Island on this 5-day guided tour. Hiking, biking, and snorkeling are all built in to your itinerary and allow you easy access to all parts of the island. At the center of your tour, learn about the history of the famous Moai statues and how they were constructed. Explore Easter Island on this 5-day extension! Discover the ancient history of this culturally rich island. Day trips include snorkeling, hiking, and visits to the Rano Kau volcano, the volcanic crater of Rano Raraku, and other sacred regions where the famous 100-ton basalt Moai statues tower over the countryside. Explore the beauty of some of the South Pacific's enchanting islands on a 20-day cruise aboard Island Sky. 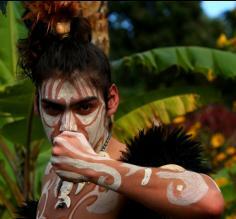 The locals will welcome you the islands with their traditional dances and music. Witness the untouched beauty of the islands from land or from onboard the Island Sky. Discover the islands of the South Pacific on this 15-day expedition cruise aboard the luxurious Silver Explorer. Follow the steps of the mutineers of the Bounty and meet their descendants on Pitcairn Island. 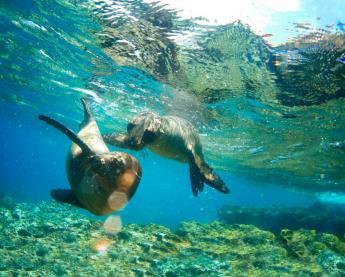 Swim and snorkel at remote reefs and islands rarely visited, and explore the magnificent Bora Bora Islands. We've found that a 5-day trip is ideal as you'll have ample time to become immersed in the culture and history of Rapa Nui and explore the stunning landscapes that the Moai overlook. 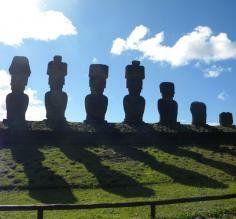 Explore the quarry where Moai were cut from volcanic rock where some 150 figures remain in various stages of completion. Learn how the Moai were transported large distances to locations like the volcanic crater Rano Raraku, where seventy monoliths are embedded in grass. Explore the ceremonial village of Orongo where the bizarre "bird man" ritual took place.The partially restored village made of stone slabs features an impressive display of "bird man" petroglyphs. Ahus Vaihu and Akahanga. Ahu, which means "sacred place," refers to the rectangular stone bases the Moai. Discover the ancient cave paintings of Ana Kai Tangata Cave. During the Tapati Festival, the Rapanui (inhabitants of Easter Island) take part in this event meant to be an authentic celebration among the people, not a commercial tourist attraction. However, visitors are encouraged to observe and even participate as the entire island comes together in song and dance to celebrate. Easter Island is one of the world's most isolated regions and is nearly lost in the vast Pacific Ocean. The haunting landscape reveals history, human accomplishment, and traces of one of the most mysterious civilizations on the planet. Curious travelers should experience this truly unique destination. Although this mysterious Pacific island is officially Chilean territory, it is around a six hour flight and about 2,300 miles (3700 km) west from mainland South America, and about 1300 miles (2000 km) from the nearest land mass, the tiny Pitcairn Islands, making it one of the most remote islands in the world. 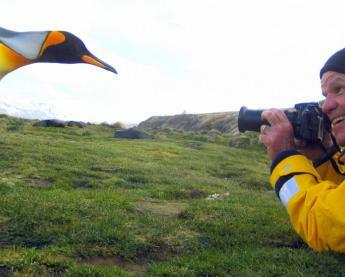 There's just one airport on Easter Island, Mataveri International Airport or Isla de Pascua Airport (IPC), and there are daily fights from Santiago, Chile and even a weekly flight from Tahiti. Once on the island in the main town of Hanga Roa and at your hotel, ground transport in cab, private car or van around the island is quick and efficient to explore the Moai statues and other historic sites. It's also possible to arrive to Easter Island on a cruise from the French Polynesian port of Papeete via the Marquesas, Tuamotus, and Pincairn Islands. The first settlers called the island "Te Pito O Te Henua" (Navel of The World), and though much debate has centered on where the Rapa Nui people came from, DNA testing has confirmed they're descendants of Polynesians, not South American indigenous as Thor Heyerdahl famously theorized. After its first inhabitants' arrival, Easter Island or Rapa Nui as the locals now call it, was isolated for centuries and when Dutch explorers landed here on Easter Sunday in 1722, they discovered a culture that in many ways was trapped in the Stone Age. According to missionaries in the 1860s, the island culture had a very rigid class system, with a king (ariki) wielding absolute power. From this society of god-like kings, priests, soldiers and workers, was built one of the world's most recognizable landmarks, the Moai statues of Easter Island. The Moai were carved from volcanic rock without metal tools and moved, without wheels, as far as 12 miles by a mysterious process. The island once flourished with forests, wide-spread agriculture, and a pleasant climate. It's theorized that destruction of the natural environment and the geologically young, remote volcanic island's fragile ecosystem was overwhelmed, turning a garden of eden into a arid landscape unable to support it's former agrarian population. There is evidence that teh population endured famines, epidemics, civil war, various colonial raids and contacts that caused the population crash several times. Oral myths, legends, music, dance and the accompanying interest by travelers from around the world keeps modern-day culture on Easter Island proud of it's heritage and history. 1. When is the best time to visit Easter Island? Because it's a Pacific island, the temperatures year round are pretty stable and don't change much, meaning there's no bad time to visit. The warmest months are December to February if you're hoping to do some SCUBA diving. October/ November and March/April are shoulder months when the island can be explored with less tourist traffic. Yes, all meals are included on our Easter Island tours. 3. What are the tour leaders like? Our bilingual tour leaders are fluent in Spanish and English and come from the local areas of Argentina, making them knowledgeable and friendly experts that offer the highest quality experience. 4. What is the climate like? The climate is relatively warm all year round. The average summer temperature is 83°F (28°C) and the average minimum is 59°F (15°C). The average winter maximum is 72°F (22°C) and the minimum is 57°F (14°C), though when winds blow in from Antarctica with pouring rain it can feel a lot colder. Light showers are the most common form of precipitation with May being the wettest month. Read more about Chile's weather here. 5. Are these trips suitable for kids? Yes! While not all active Chile tours are ideal for young children, the trips to Easter Island are an engaging way to share the excitement and adventure of traveling with your children. See our Family Travel page for more information. 6. What is the typical age range for these tours? The Easter Island excursions are great for all ages, but they are ideal for active travelers who enjoy activities like hiking, biking, spelunking, and horseback riding. 7. 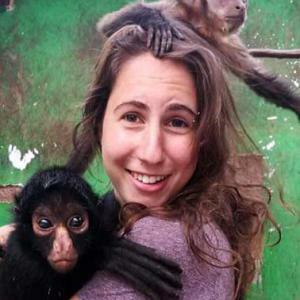 Are these trips a good choice for solo travelers? Yes. 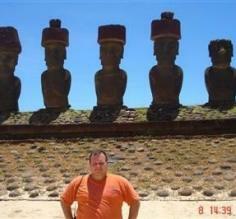 Easter Island is a fascinating place to visit alone or with a group. Isolated from the rest of the world by thousands of miles of oceans, you will be able to channel the truly mysterious atmosphere of Easter Island. 8. Do tour rates include international flights? No. It's usually less expensive to buy flights separately. If you would like our help or guidance, our travel experts are happy to help you find the best deals out there. 9. How much should I budget for tips? 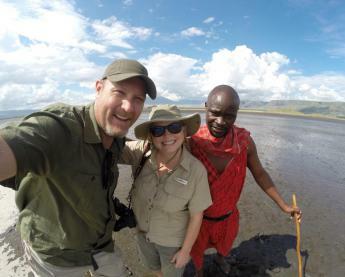 Although tips are not required on any of our tours, it is customary to leave $2-$10/ day for your guide and $1-$3/day for your driver for excellent service. 10. Are there any discounts available? Yes! We work hard to secure the best prices and promotions, so check out our deals page for more information. 11. How far in advance should I book? Easter Island is a very popular destination year-round, so the earlier you book the better. Since it is not a very big destination in terms of accommodations, it's best to reserve your itinerary as soon as you know your dates. 12. Are tour dates flexible? They can be. If you let us know what your schedule requirements are then we can do our best to accommodate you. However please keep in mind that this is a bit more difficult with solo travelers or large groups because of reservations. 13. Can I extend or change my stay? Definitely! Easter Island makes for a great solo destination or you can combine it to a trip to almost any other South American destination, like Chile, Argentina, Peru, Ecuador, or even the Galapagos Islands. 14. Is travel insurance recommended? Always. We work with a company called TravelGuard that provides reasonably priced insurance for trip cancellation, medical expenses, medical evacuation, lost bags, etc. Check out our Once You're Booked page for more information.